I'm pleased to share with you this exclusive first-look at the preliminary book cover for one of two new books to be released by Richard Ellis this year. 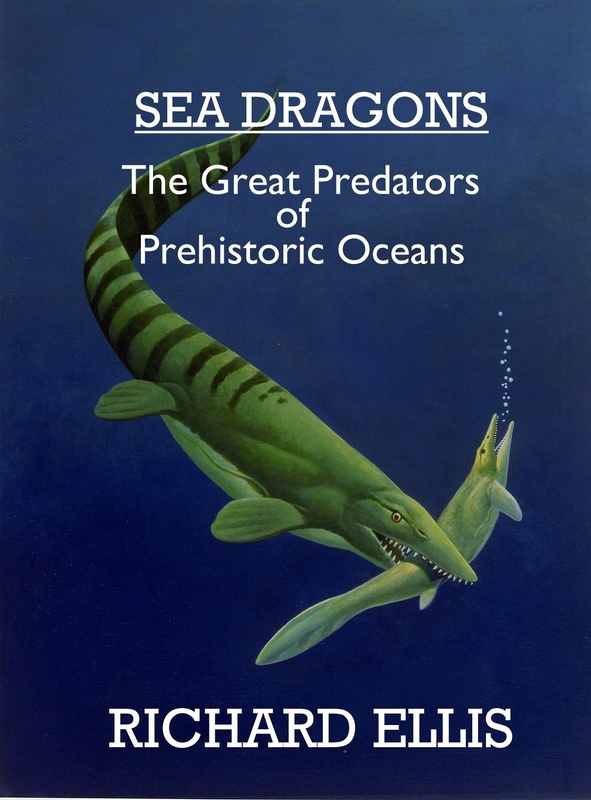 The book due in September is titled "Sea Dragons: The Great Predators of Prehistoric Oceans," and I'm sure everyone here will find it to be interesting reading. The other book, to be published by Island Press, is coming next month (April), and is titled, "The Empty Ocean," which is about the depletion of the world's marine resources (pre-order it now from Amazon.com!). Also, Richard submitted another illustration of an ichthyosaur, which can be found in this post and also in the Art Gallery. Thanks to Mr. Ellis for sharing this information! !